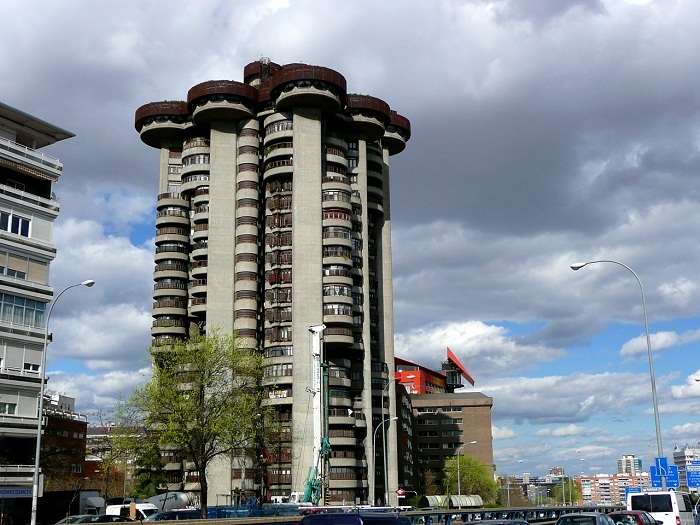 Torres Blancas is a residential and office building located in the capital city of Spain, Madrid. 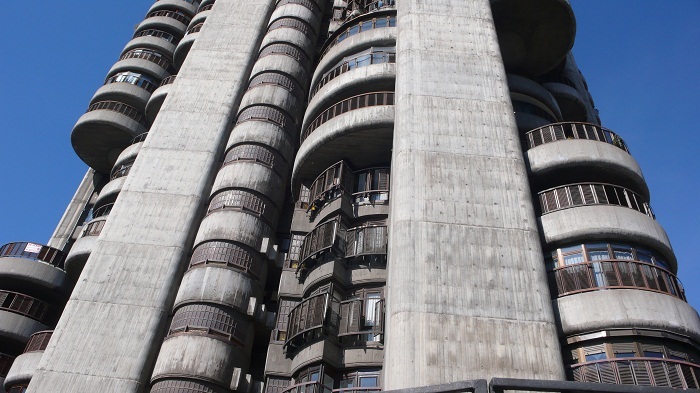 Designed in 1961 by Francisco Javier Saenz de Oiza in collaboration with John Daniel and Rafael Moneo Fullaondo, its construction began in 1964 and finished in 1968. 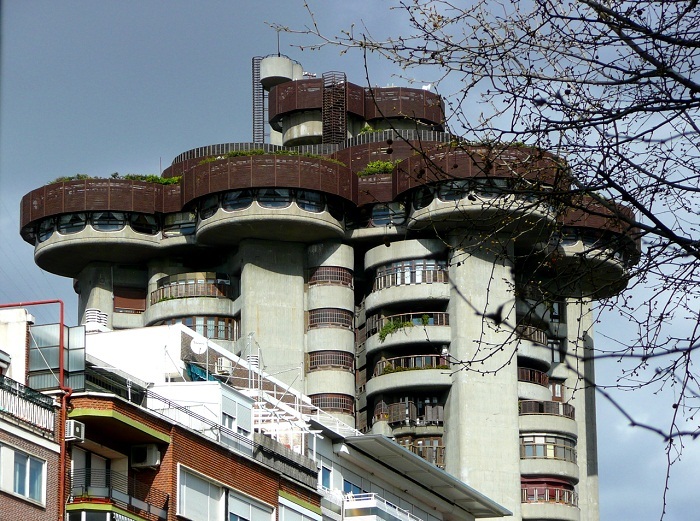 It is considered as the best example of the style known as Spanish extreme organicism, where through this project, Spanish architecture of the time aimed to demonstrate its will to excel, and the cultural sophistication of a style of architecture which abandoned rationalism in order to embrace shapes which were more suited to the aesthetic needs of urban society. 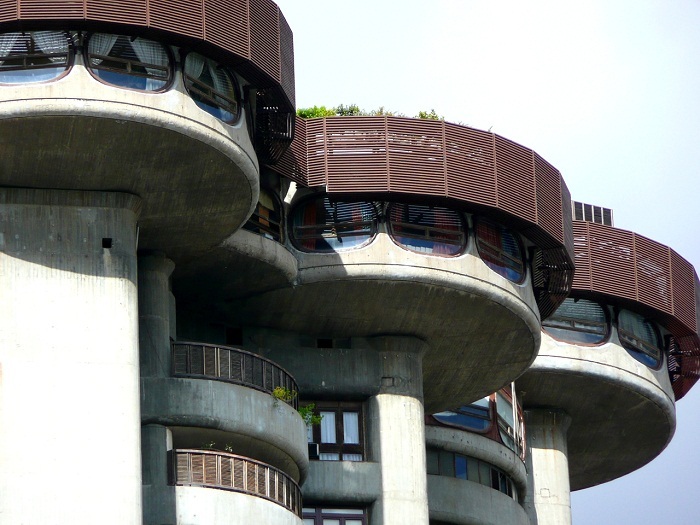 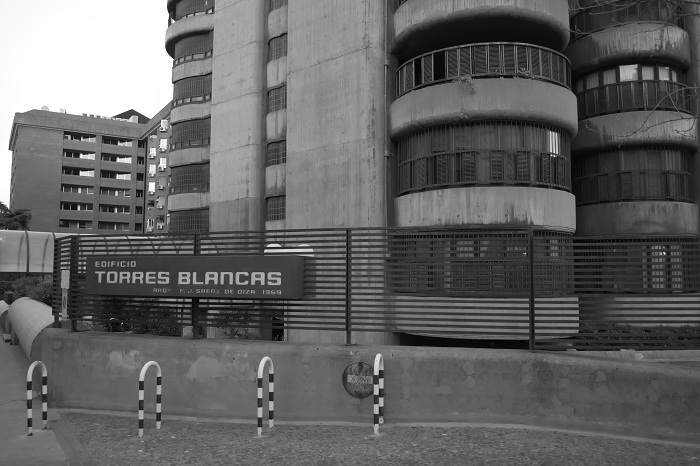 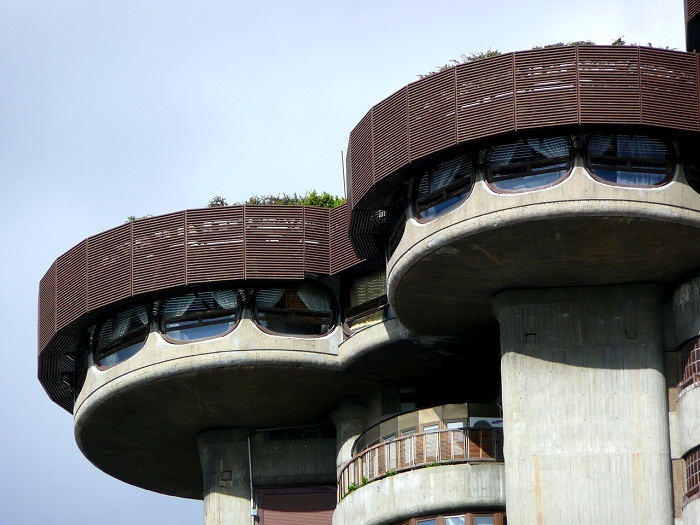 Torres Blancas was once an experiment, a proposal favored by the construction company, whose role in the culture of the 60 was critical in supporting the forefront. 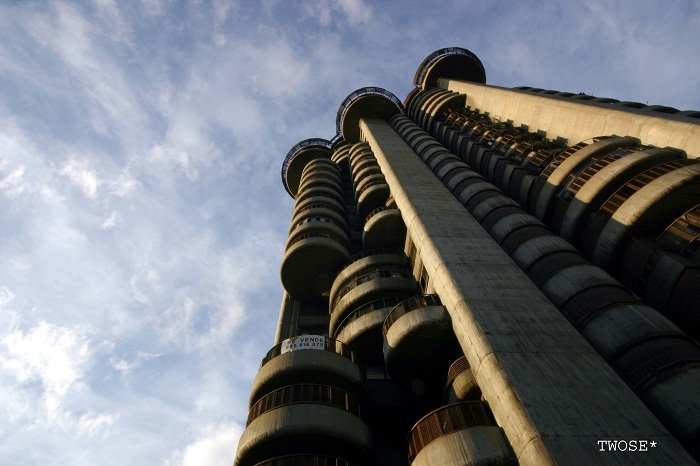 It is 71 meters (233 feet) high, with 23 floors. 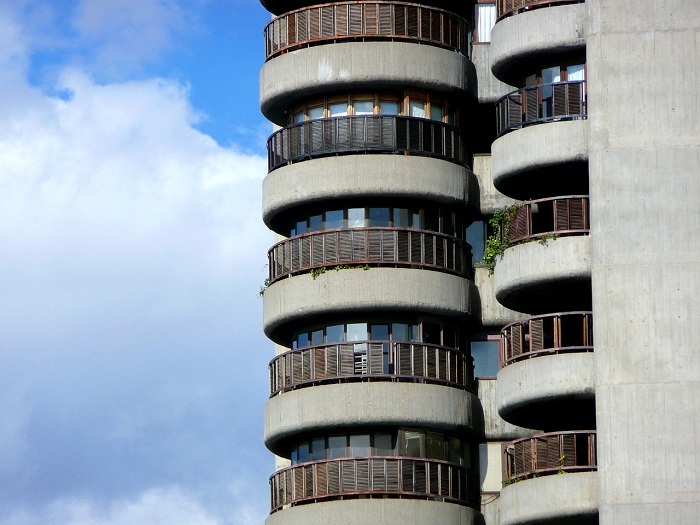 The structure of the building is interesting since it is cylindrical and it is surrounded by balconies with latticed wood, and the top has aerial gardens. 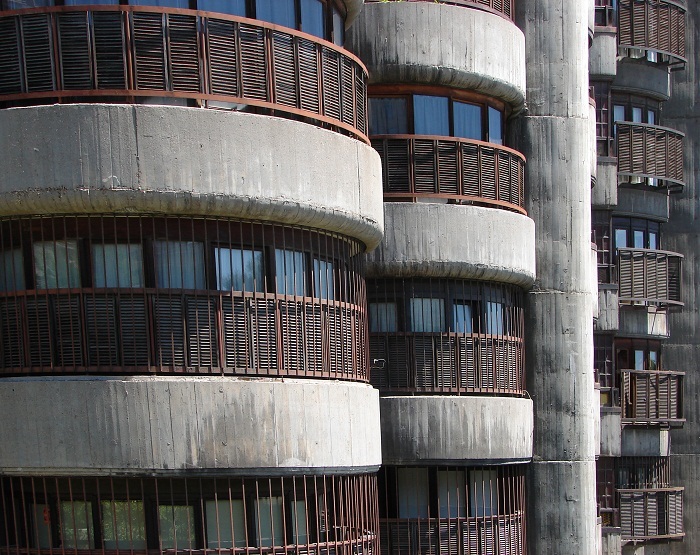 Despite the name it has, there is no white color on it, however, at the beginning it was considered the façade to be made out of white concrete which was subsequently rejected for budgetary reasons, so today mainly it is also concrete, but with gray color. 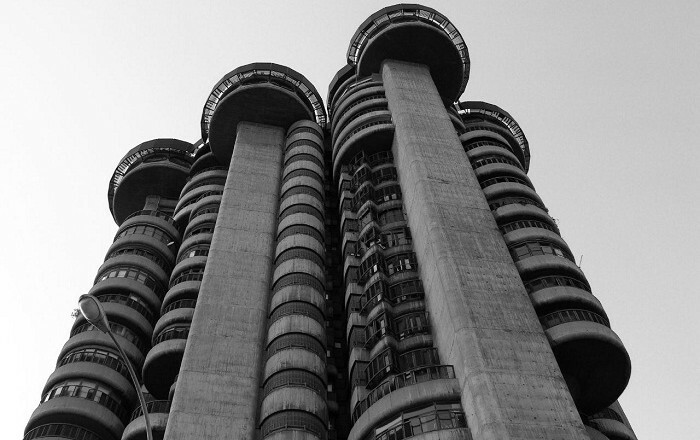 There were supposed to be two towers, but only one was built, due to the obstacles from Madrid’s City Council. 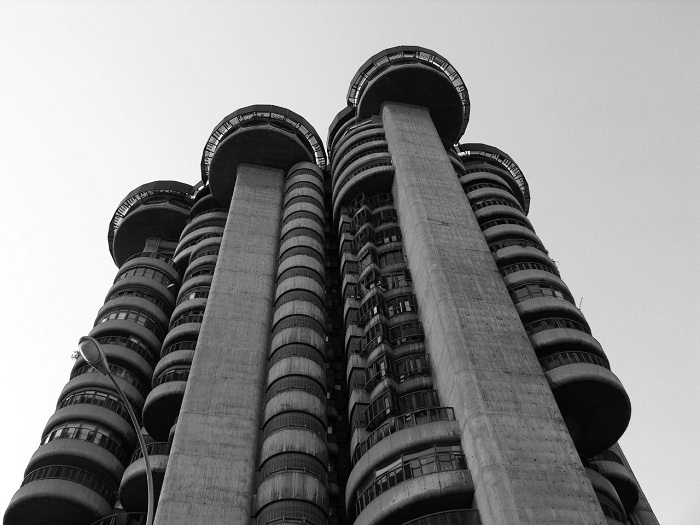 Looking like a vertical tree, where the Tower grew originally by vertical ladders, as if they are veins linking the homes to the ground, it is an outstanding masterpiece of an era in Madrid.